OrgLife Pharmacy is located in the heart of Studio City inside the Trader Joe’s plaza. It was founded by Dr. Lena Badalyan (B.S. Biology UCLA, Pharm. D. USC School of Pharmacy). At OrgLife Pharmacy, we believe in the synthesis of nature and science. Our philosophy is to provide the highest quality of individualized care, since our patients needs always come first. We treat our patients like our neighbors and not just names in the system. Our staff is courteous, fast, and friendly. We will make sure all of of services are executed in the most efficient way and that all of your questions are answered. We are a full-service pharmacy that accepts prescriptions for all major insurances. We also offer compounding for our patients as well as their pets! It doesn’t end there. You will also find a wide variety of organic and natural vitamins, supplements, and products at our pharmacy. We do our research and only provide the best to our customers. Be sure to check out our gift shop while you’re inside! Low pricing and price match. Free Delivery & Shipping Available. I highly recommend this Pharmacy! The pharmacist is very knowledgeable and I got my medications very quickly! Thanks to the remarks staff! Recommend this pharmacy. The staff is nice, the pharmacy is clean and organized and the service is a 10 star. I will definitely be coming back . At first, I was just killin’ time, but there were so many great products and I was treated so beautifully, my wallet kind of sprang open. The store owner was extremely knowledgeable about their products and many processes to gain better health. It is a neat and beautiful pharmacy and is full of truly well made gifts and healthful products. I enjoy lipstick, but I always worry about compromising my health with mainstream products. Well … I found an AWESOME selection of lipsticks here, that are very beautiful colors, made from natural pigments and products. They look great and held up to a popsicle, without budging. Can I get a Namaste??? I WILL be back and send dear friends. 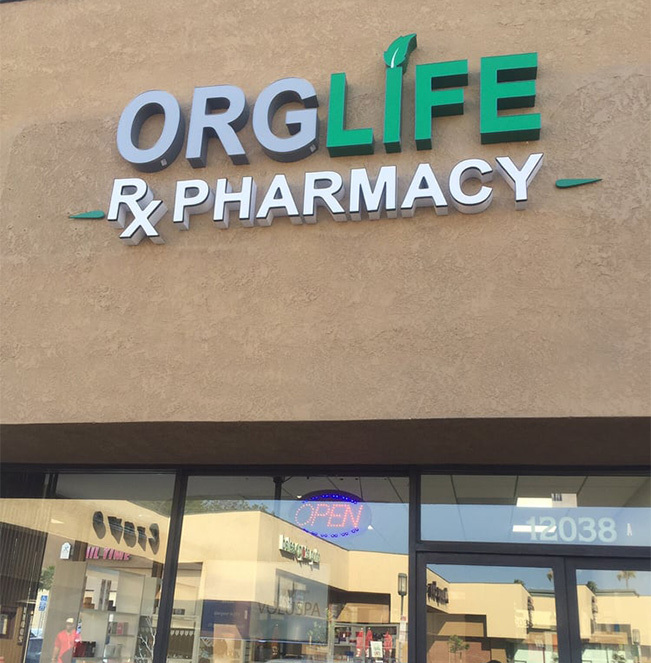 Copyright © 2018 Orglife Pharmacy. All rights reserved.